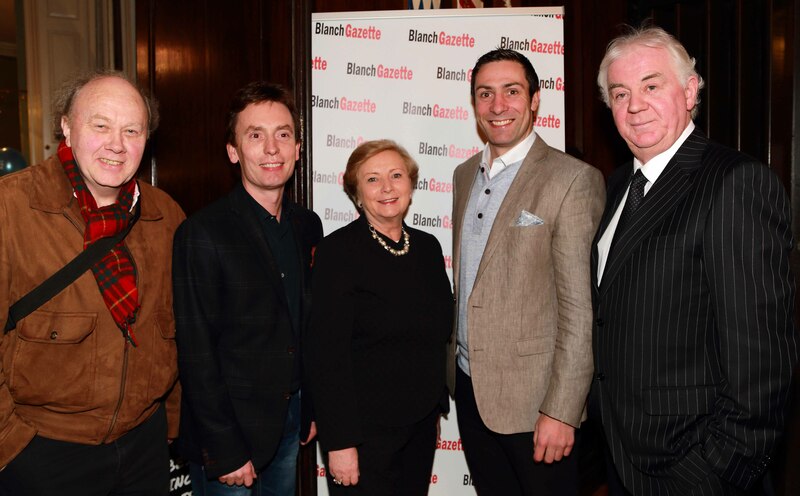 Dublin’s Culture Night – what fun! It was busy in town with crowds visiting the many houses, galleries, houses, museums that took part in Culture Night. The pleasant, dry weather certainly helped matters, and everywhere there was excited talk as visitors moved from venue to venue. All in all it was a great event, and what I enjoyed most was the good nature and the genuine interest shown by Culture Vultures, both young and old! The event has become one of the Dublin’s main attractions, for locals and tourists alike, and a real ‘must-see’. It offers unique opportunities to visit places that are often closed to the public and, as such, is engaging like no other event and growing year-on-year. And with venues from all corners of the city taking part; from Dunsink Observatory in the west to Windmill Lane Studios in the east and Malahide Castle in the north to the Pearse Museum in the south, there was something for everybody to see and enjoy. And, for those wishing to move quickly between venues there was a Free Culture Night Bus service. Yes, everyone was involved! There is so much to see that you have to have a plan, something that is usually gets forgotten about after visiting a few venues. But that is part of the fun and it adds to the sense of discovery that is so important. That’s what happened to mine, anyway, but I was more than happy with I saw, and heard. For music is a big part of the event and there was so much on offer. There were formal shows in Dublin Castle and Smithfield Square and any number of impromptu performances in small venues and in the open air. Outside the National Gallery I saw four young trumpet players, in dress suits, playing Classical Music that got a loud round of applause. It was different, something that is very much the theme of the event. I enjoyed a guided tour of the recently, and beautifully revamped, National Gallery that was abuzz with excitement. 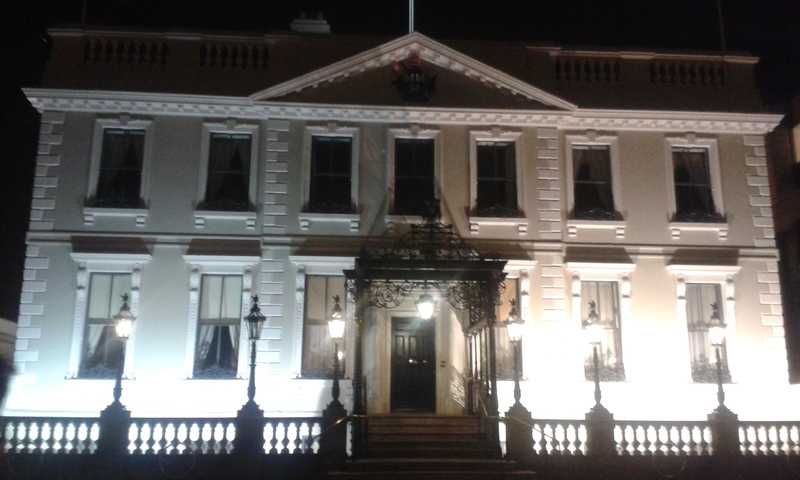 Then it was along a noisy Nassau Street and into the beautiful Royal Irish Academy on Dawson Street. 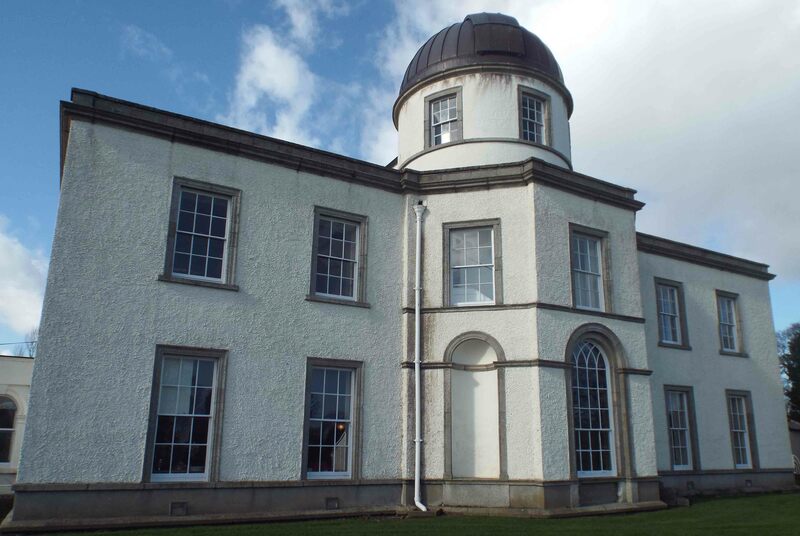 This is a veritable treasure house of Irish history where you may indeed spend more time that you might have planned. 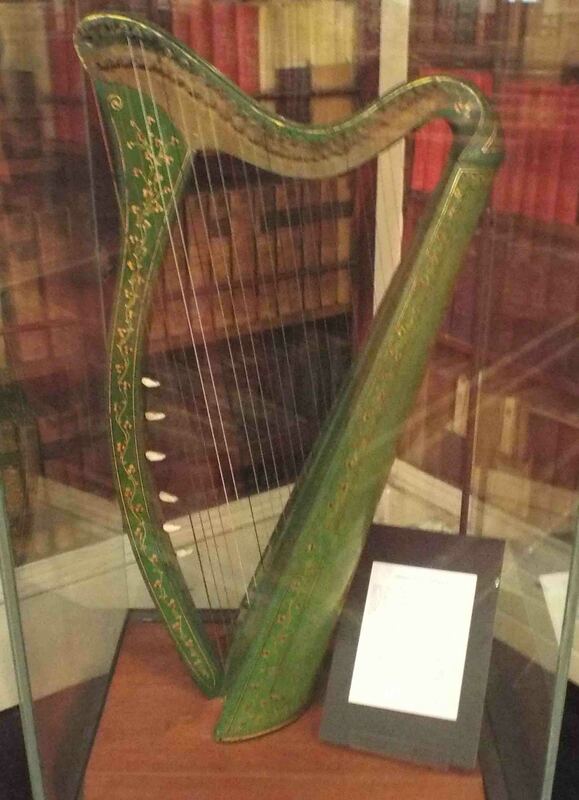 You can see Ireland’s oldest manuscript that dates from the sixth century, and the collected works of the great singer and writer Thomas Moore, along with his harp. In the Meeting Room there are chandeliers and benches from the House of Lords that was abolished under the Act of Union of 1800. Then it was into the Mansion House where the guide gave our group a very swift and informative tour of the building that has been the Mayoral Home since 1715, the oldest in the British Isles. The famous Rotunda was added in 1821 for the visit of King George IV, and ironically it was where the First Dáil assembled on 21st January 1919 and proclaimed the Declaration of Independence. It was a great night and I just wish that I had the time to visit other wonderful places and meet more enthusiastic visitors. Maybe the organizers might consider extending the event to a two-night affair, but I am very happy to see it thrive and grow and continue to bring so much fun and excitement to so many. In a few short years the Open House Weekend has become something of a favourite with Dubliners and tourists alike. The fact that we can gain access to buildings, houses and offices that are normally off-limits to the general public, is a great reason to get out and about and enjoy the ‘search’. Everywhere I went people studied maps, pointed this way and that and happily queued, cameras at the ready to snap a piece of history. There was, inevitably, lots of talk and much advice on offer as to which places to visit. The Mansion House is a place that I always wanted to see having, like so many other Dubliners, passed it on countless occasions. 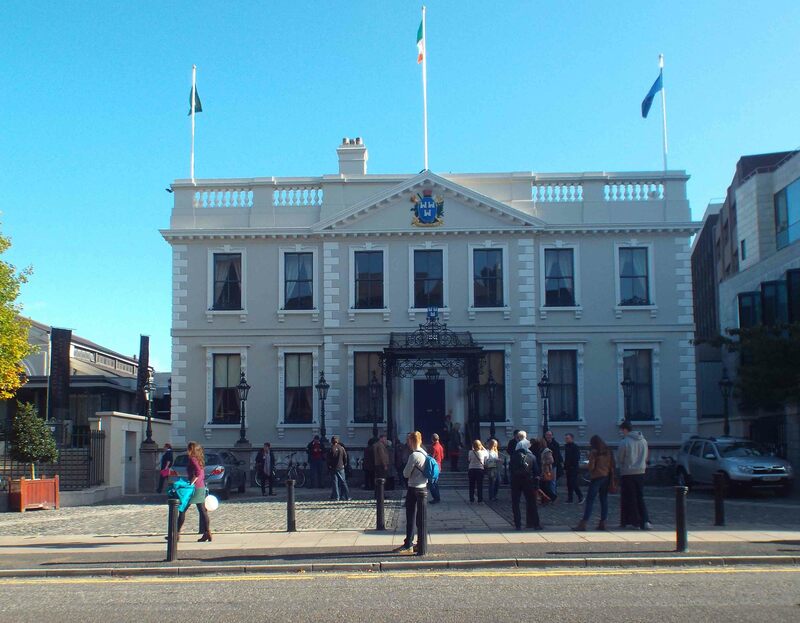 It is, of course, the residence of Dublin’s first citizen, the Lord Mayor, and it is one of the city’s most loved buildings with stunningly beautiful rooms. It is, in fact, the oldest free-standing house in Dublin and the only Mayoral residence in Ireland which is still used for its original purpose. And, it is the oldest Mayoral residence in Ireland or Britain as it provided an official residence for its mayor fifteen years before London did! It was surprising to find out that in the 1930s and 1940s there were plans to demolish the place and other buildings on the block, but thankfully they were abandoned. The guide, a former Lord Mayor, really knew the history of the building and made the whole experience memorable. It was built by Joshua Dawson (who built many of the buildings on Dawson Street & Nassau Street) in 1705 as his city residence. 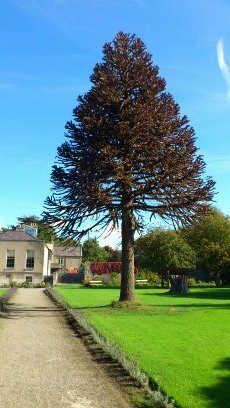 However, he seldom lived there and sold it to Dublin Corporation in 1715 for £3,500, and an annual rent of 40 shillings and an agreement to provide a loaf of double-refined sugar weighing 6 pounds, at Christmas! 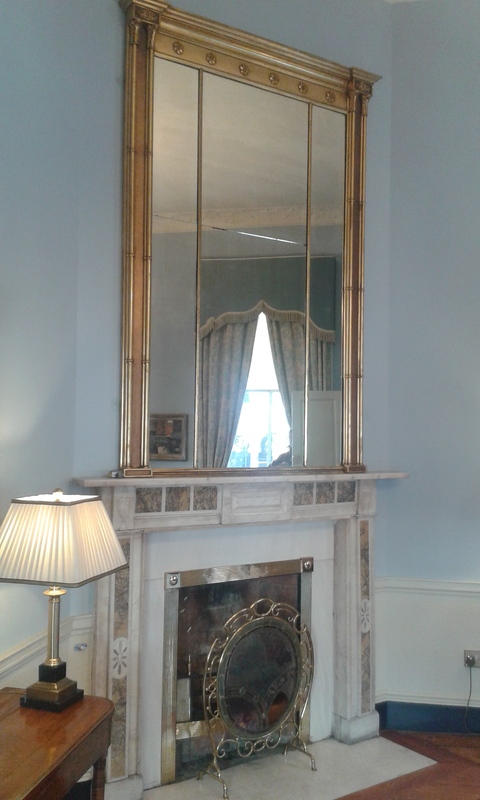 He agreed to add a formal reception room which we now call the Oak Room. In here are the crests of all the previous Lord Mayors with Daniel O’Connell’s (1841) being the first. The distinctive metal portico over the front door was erected for the visit of Queen Victoria in 1900. And the Rotunda, or ‘Round Room’, was added for the visit of George IV in 1821, as there was no room in the city grand enough for him. Ironically, it was in this same space that the First Dáil assembled on 21st January 1919 and proclaimed the Declaration of Independence. The Mansion House has been at the centre of the city’s history for 299 years, and next year will be a special one even for this historic building.